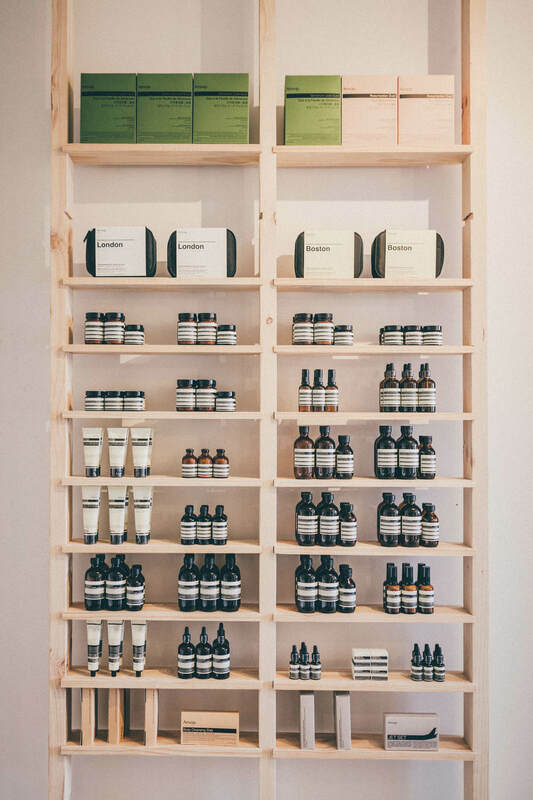 The vision for Sweet Fern was to create a contemporary retail space with a focus on reclaimed materials. Simon used a neutral colour palate and minimal range of materials to create a pared back and light-filled space. The previously unused space was seemingly 'plonked' in the middle of a carpark and was screaming out for some love. It had been used as a Gay & Co hardware store and original boxes were found on site. In fact, Simon incorporated these into the shop's fit out. While the initial colour palette of yellow and purple was hardly desirable, the new occupants nonetheless couldn’t believe how this diamond hadn't been snapped up already, being only a block from the Ballarat town hall. The design process was organic and hands-on and relied on some careful planning. Simon took on the role of designer and builder to transform the space from a hardware store-come-residence to the modern perfumery it is today. Sweet Fern has since been featured on Channel 9's 'Postcards', with Rebecca Judd coming in store.